which defines the triple border between Syria, Turkey, and Iraq. 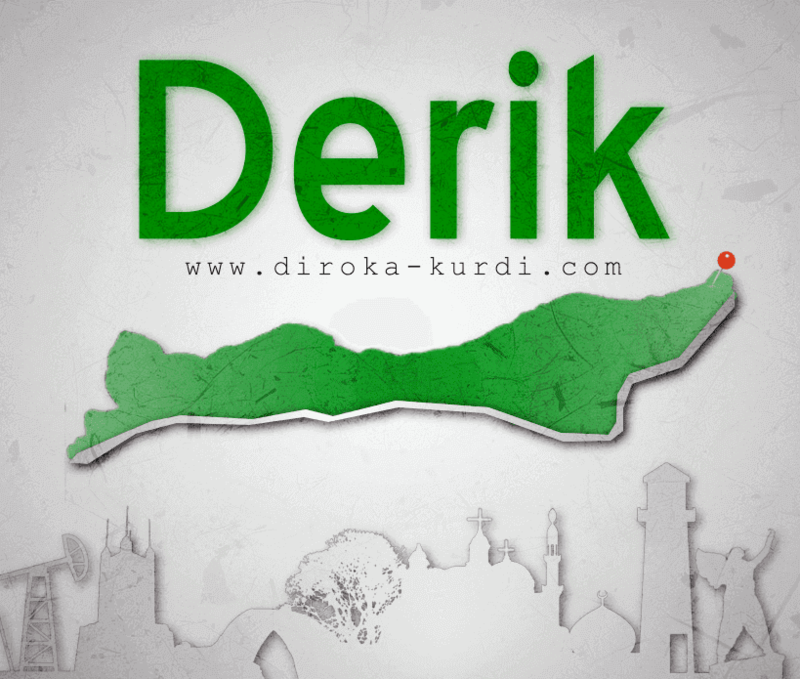 According to the Syria Central Bureau of Statistics, Derik today is situated within the autonomous Federation of Northern Syria – Rojava. about 27,000 in the 2004 census. 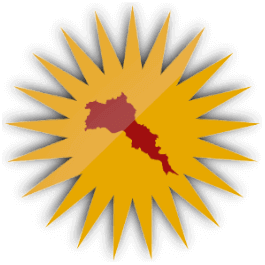 90% Kurds and 10% immigrants of Early twentieth century "Assyrians,Armenians,Arabs"
Dêrik: means two roads in the Kurdish language "Di rêk, Du rêk"
they were a part of the Clans structure of that princedom and they played an important role for its continued economic and military strength. but it was a rich and important grazing area for livestock-dependent clans. this area was divided into two part for two groups, the "Abasa" clan "was still living in the villages surrounding the mountain (Kundak - Gundik), an agricultural clan"
3.the Alian : an area located to the west of the former two areas. -Haruna: They live mostly in the villages around Dirk. - Omrka: They live in the villages surrounding Rumailan and the Aleyan area. 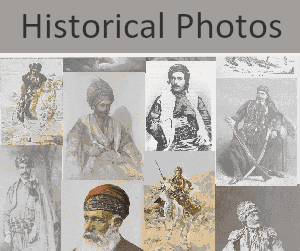 Who were displaced from the city of "Hzakh, Azakh, Asffs, Tor-abuddin, Jabal al-Zuzan and the Bahian mountains"
they exist now around the area of "Tel-Kogger" and southern of "Rad" Valley , especially in the area of "Tel-Alo". their families are distributed around some towns in the region, where they rely on the cows and buffaloes breeding and selling milk. 4-Joala: distributed around so,e villages south of "Jal-Agha" and "Terbasipi"
5-Tai"طي": An Arab Clan, most of their families came the region from the "island of Euphrates", distributed in some villages south of "Rad"
6-Zoba: An Iraqi Arab clan, their villages located west of the "Tel-Koggar" area. 7-Almaghmoren"المغمورين": many family groups belonging to several Arab clans from the Al-Tabaqa area in the Syrian province of Raqqa. 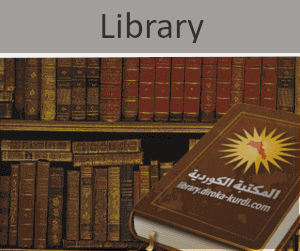 In 1947 first official school been built, ande they named " mamon Al-rifia"
the name of the city been Arabized and it been replaced to " Al-Malikya"
the name Al-Malikya related to the colonel "Adnan-Al-Maliki"